"Noble Arms - Excaliburn" and "Gwenhwyfar, Queen of Noble Arms" in the latter's artwork. "Noble Arms", known as "Holy Sword" (聖（せい）剣（けん） Seiken) in Japanese, is an archetype of Equip Spell Cards introduced in Return of the Duelist. It is based around the tales of the Knights of the Round Table and supports the "Noble Knight" archetype. The first support for the archetype was introduced in Abyss Rising with the release of "Ignoble Knight of Black Laundsallyn". "Gwenhwyfar, Queen of Noble Arms", the first "Noble Arms" Monster Card, was introduced in Legacy of the Valiant. "Celestial Sword - Eatos" is also "Noble Arms" card because it has 「聖（せい）剣（けん）」 in its Japanese names, but it is unrelated to the other "Noble Arms" cards and the "Noble Knights". In the TCG, it has an archetype condition to clarify this. Additionally, "Celtic Guard of Noble Arms" is a member of the archetype, but it is also unrelated to the other "Noble Arms" cards. Each of them is side-unique. They can only be equipped to Warrior-Type monsters. If destroyed while face-up on the field and sent to the Graveyard, the player can target 1 face-up Warrior-Type "Noble Knight" monster they control and equip the destroyed card to that target. 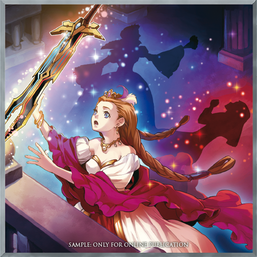 In addition, all "Noble Arms" Equip Spell Cards (again, except "Excaliburn" and "Celestial Sword - Eatos") have artworks that depict a sword embedded in stone, a reference to the Arthurian legend of the Sword in the Stone. Noble Arms - Clarent Clarent Mordred A sword of peace meant for knighting and ceremonies as opposed to battle, which Mordred stole and then used to kill Arthur. Noble Arms - Gallatin Gallatin Gawain In some works, Gawain's strength waxes and wanes with the sun; in the most common form of this motif, his might triples by noon, but fades as the sun sets. This page was last edited on 28 February 2019, at 04:46.